Disassembling the ANAN-100D radio, although a bit daunting/unfamiliar at first, ends up being a fairly easy endeavor once you understand the construction and a few tricks. It actually ends up being easier than most conventional radios due to simple mechanical construction. 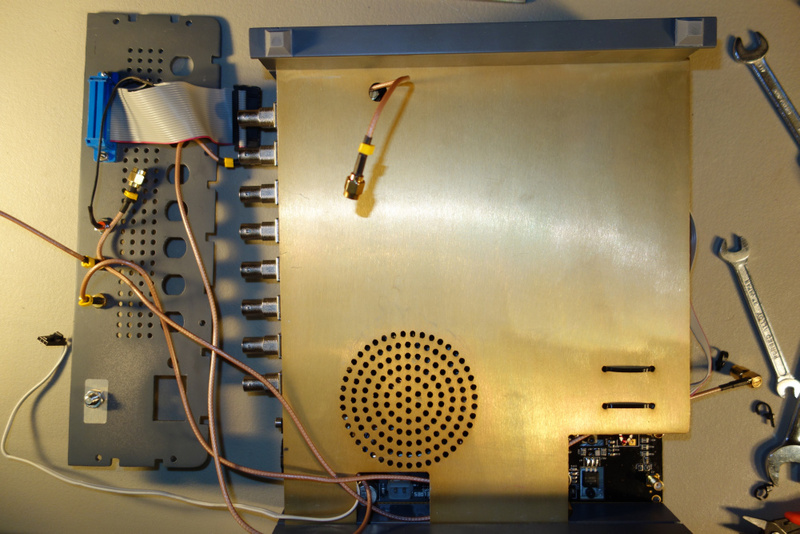 The radio is built on 3 levels or plates, with the middle level merely being a sliding metal shield plate. 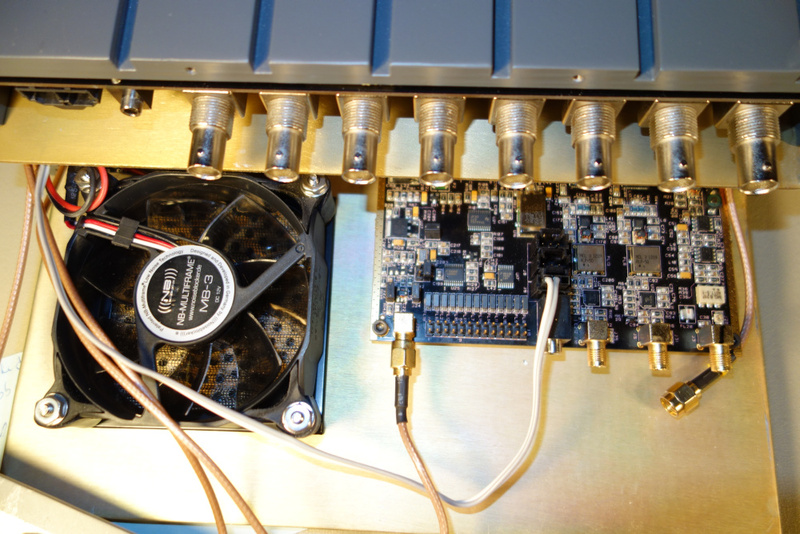 On the bottom is the Angelia board, fan and power board attached to the sliding base plate. 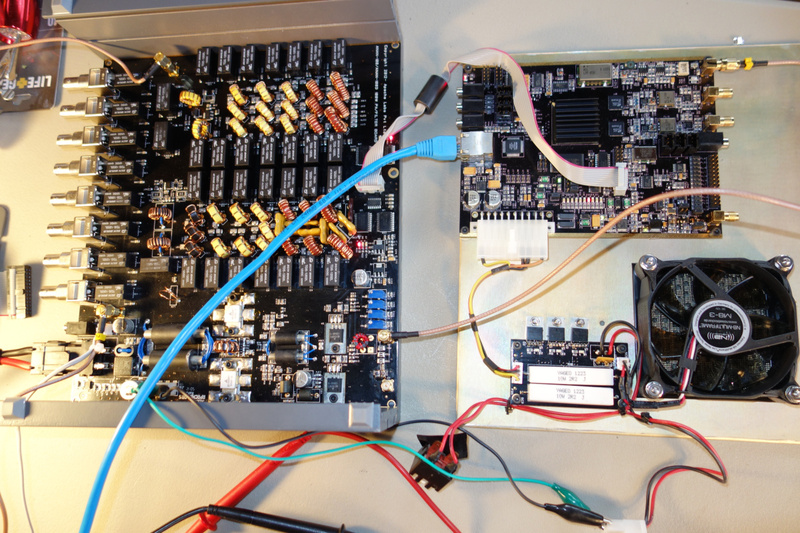 At the top is the PA/filter board which is fixed in place with the final transistors using the case top as a heatskink. Both the middle and bottom plates slide back and forth in guide rails/channels in the sides of the case. 1. the back cover is held in place by not only screws, but also by 8 BNC connector nuts which are easily removed with a 14mm wrench. I highly recommend you buy a ratcheting box wrench for the nuts - the type with a hinged wrench head is especially recommended. 2. 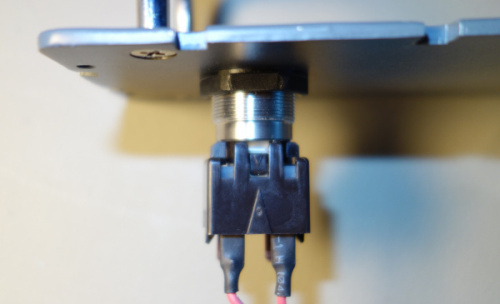 SMA connectors are easily removed by unscrewing the middle nut with an 8mm open end wrench, but exercise caution when engaging/disengaging so you don't bend the center conductor - gently move the connector in a straight line until clear. You also need to bear in mind what will initially be preventing the middle and bottom plates from sliding freely. There are 6 cables passing through the rear of the middle plate on the way between the back plate, bottom plate and top plate. Five of these (3 SMA coax cables, two-conductor speaker cable, and Angelia power cable) pass through a square cutout on one side plus an SMA cable passing through a round hole on the opposite side. There is also a 10-pin ribbon cable in the front, passing between top and bottom plates, that is also tie wrapped to the middle plate. Finally, there is a seventh cable, the DB25 ribbon cable, that plugs into the rear of the Angelia board. The big trick to learn in ANAN disassembly is handling those cables to get access to the boards and the trick to move the rear panel with the base plate when sliding the base plate forward . You need to remove both the front and rear panels. Remove 6 back panel screws and 8 BNC connector nuts (14mm). Remove front panel 6 nos screws. Power switch is snap fitted to the steel button, release the plastic locks to free the switch body (I couldn't get this to work) or just wiggle the switch body while pulling. Remove two SMA connectors behind front panel on upper right after marking one of the plug/jacks for ID in reassembling. Be VERY careful with removal of the inboard of the pair - there's a delicate transformer immediately behind that's just secured by its leads. Don't use your fingers, gingerly use an 8mm open-end wrench. Remove ribbon cable from Angelia J15 on the bottom plate after sliding it forward, note orientation. In order to slide the bottom plate far enough forward, reflect the rear panel around toward the bottom so that it will slide forward along with the bottom plate. You can now slide bottom plate off the front and free. Refit power switch body into push button by pushing on. Screw in front and rear panels. I chose to add star lock washers under the front panel screw heads to enhance metal bonding of the front panel through the paint.